hmm..its to tok about their new products rite..wad counts as new? released in sep? Park myself in to join the crowd. Last edited by clon22; Sep 5th, 11 at 12:40 AM. MSI’s Solid Capacitors uses high quality solid capacitors. It features a aluminum core to eliminate the risk of the capacitors exploding. It also feature up to 10 years of lifespan on full load, up to 40 years for office productivity work. The capacitors also feature Extreme low ESR (Equivalent Series Resistance). Simply said, the lower the ESR rating, the better the quality of the capacitor. 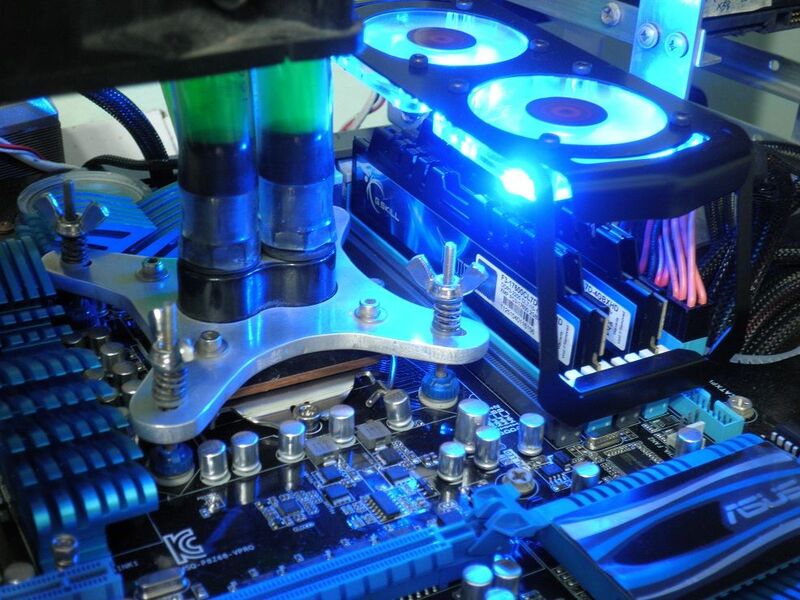 With a better quality capacitor, the graphics card attain higher efficiency and also better performance and stability control especially in overclocking. The SuperPipe Technology uses 5x 8mm heat pipes which is 60% thicker than normal heat which allows for a much more efficient heat transfer to the heat sink. The highlight of the card, along with dual 8cm PWM temperature controlled fans, heat dissipation is much more efficient, compared to reference cooling designs and single fan configurations. 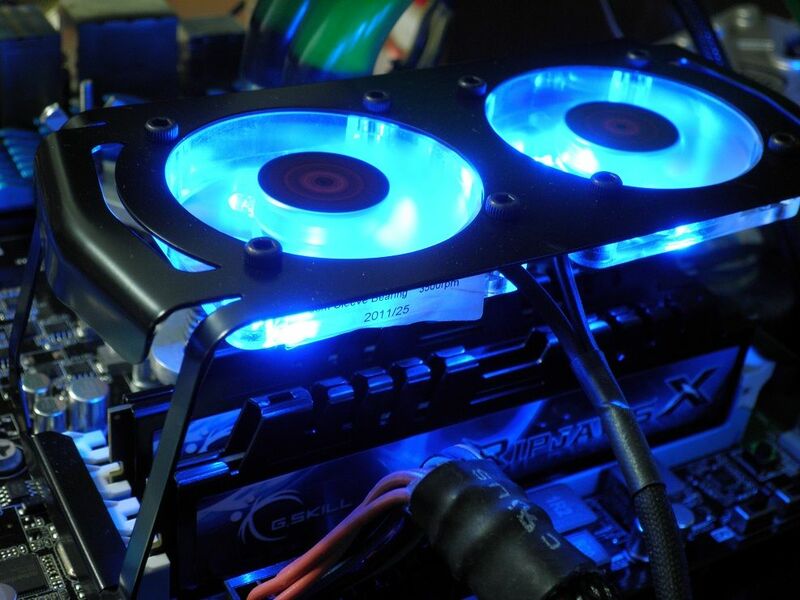 With the Twin Frozr II design, it allows for a much higher air flow, thus cooling the graphics card much faster, which results in a cooler graphics card. With a cooler graphics card, the change of damaging the GPU core is reduced, therefore, reducing the RMA rates of the card. The MSI Afterburners enable all graphics card users regardless of manufacturer to boost performance and monitor all kinds of critical information like temperature in real time. A plus point of the MSI Afterburners is that it supports both NVidia and ATi/AMD graphics card without the need to use different software. The MSI Afterburners also supports custom profiling to allow users to change the clock settings in a few click should they desire power or lower power consumption! 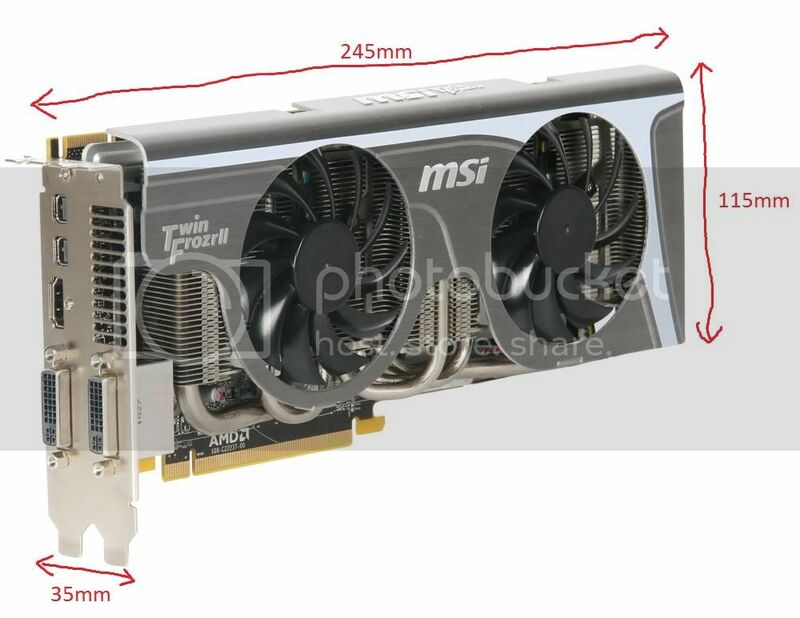 The MSI R6870 TF II card’s dimensions is as follows: 245mm x 115mm x 35mm. -Nothing I can think of! 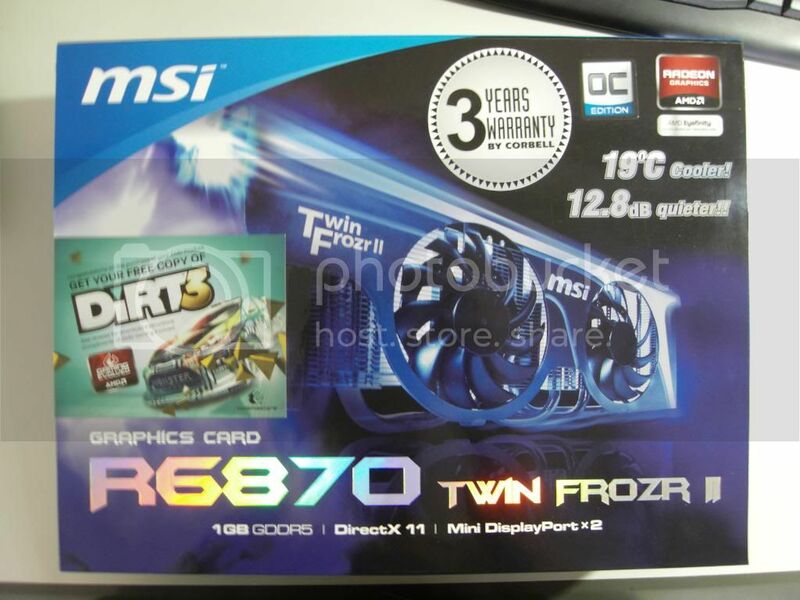 That's all for my submission, one greatest plus point of this card is that it comes with a 3 years warranty(it's that way since 2009 i believe) instead of the usual 2 years warranty for some manufacturers, which makes MSI products more value for your hard earned cash. Last edited by MachBot; Sep 5th, 11 at 11:51 PM. Anything "IN" can be considered too. The 1st prize is N560GTX TFII/OC. (Non Ti, the pic sala i think.) hehe. Adding pics to enhance ur entry will be good too. Hmmm, will take it into account. I will go add some picture. Ram 2x2GB 2200MHz [email protected] and Fabulous ram. Dual Channel Kit, 240-Pin DDR3 SDRAM. DDR3 2200Mhz speed, 2x2GB add-up to 4GB of memory. And that is fairly astonishing speed really, G.Skill has binned it nicely and proven with CL7 timing of 7-10-10-27-2T. Ignore the 2T, 1T is not an issue while I was testing it out at 1.65Vdimm. Let the pictures walk you through....enjoy! After much tweaking the OS, and ram speed tweak to 2290MHz at CL7-10-7-1T with 1.7volts. Is an overclocking ram to play with...Shiok Dah! My Champion prize and came in a Seal Brand new box. 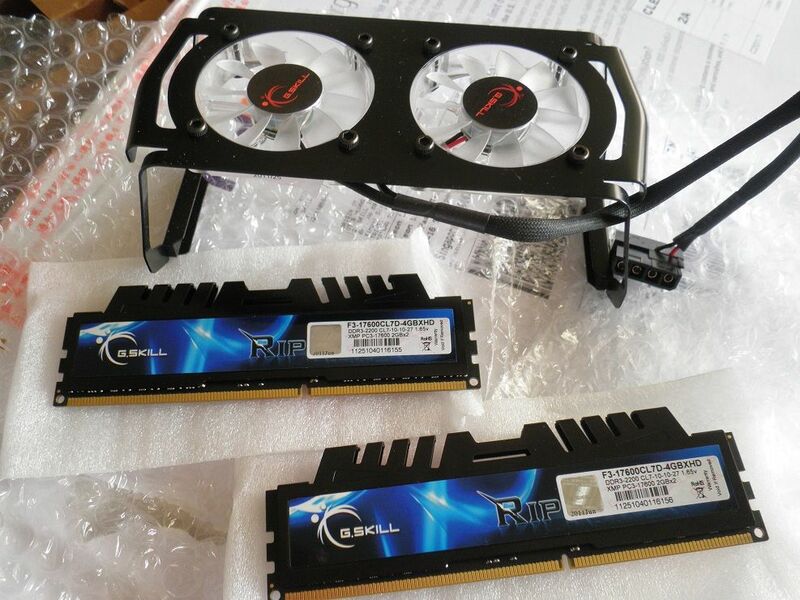 8GB kit 2133MHz CL9-11-9-28-1T 1.65V. Last edited by spyboy48; Sep 11th, 11 at 11:02 PM. Upcoming Platinum Series PSUs by SeaSonic! Last edited by cyberwave; Sep 6th, 11 at 09:40 AM. I'm quite interested to see how two of these run in SLI across 3 screens. The specs look quite impressive also... Might actually help my brother get these for his machine if he really wants to build one for his NS ORD gift. - SFC (Super Ferrite Choke) has higher current for better overclocking ability. - Hi-C CAP for GPU provides more precise voltage. - All Solid CAPs have longer lifespan. of cos can, you are fast!! I bought this graphics card 2 months back as an upgrade from my 260 GTX. 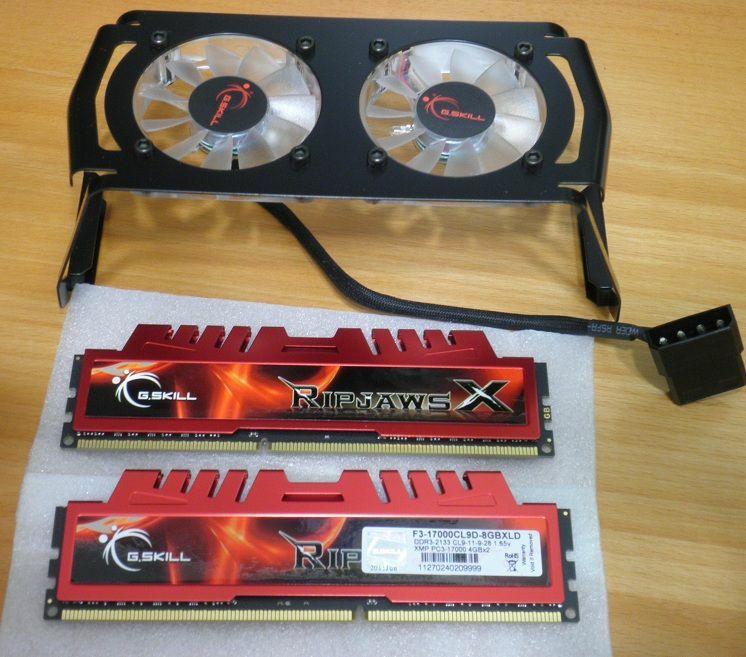 - It was smaller in length than my 260 GTX which made it easier to install into my casing. - It ran cooler and faster. Games than Deus Ex Human revolution wasn't a problem and this purchase was in anticipation of Modern Warfare 3 and Battlefield 3. It shouldn't sweat running currnt gen games in DX 11. - The price point was just nice. It didn't burst open the piggy bank and it's value for money. - The downside was that the fan was just a tad loud however when I have the games going with speakers blaring with sound effects, it is hardly noticeable. The Lian Li PC-A04B is a mini tower casing made out of aluminium. Like all Lian Li casings, it has a very clean design that I like very much. It supports 3 120mm fans, 2 for intake and 1 for exhaust. Additionally, there is an 80mm vent at the back which can be utilised to house an 80mm fan. Features 120/140mm mounting. Yes that is 120 or 140mm and not 120mm only! And of course the wave blade design thing which apparently is claimed to help push more air and at a quieter rate. p.s i add not only pics but video so lagi better? I was choosing between GTX560 and HD R6870, been reading reviews on both cards and concluded will lean more toward GTX560. GTX560 Ti have higher potential in an out of box configuration while R6870 will reach it full potential in an overclocking state. That may explain the price different, R6870 definitely worth taking at the current given price. Also, I am more to FPS gaming, GTX560 Ti show an excellent performance in this field, for the sake of the upcoming BF3, I am more willing to invest more for an GTX560 card. 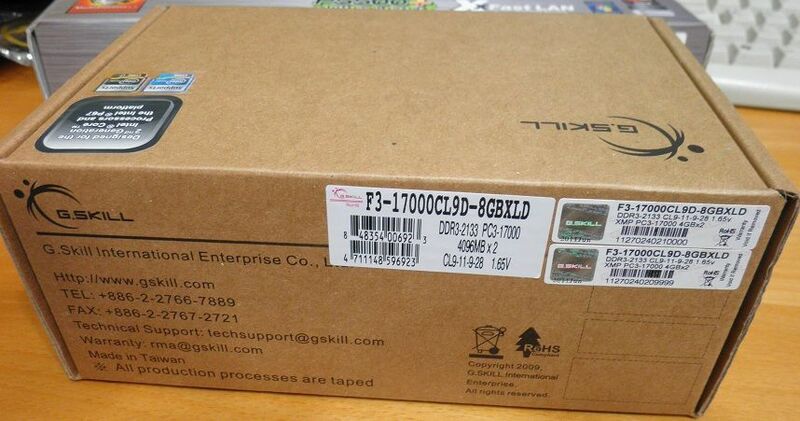 Have been hoping distro give a promotion price for GTX 560 Ti HAWK during COMEX, but then ... Nevertheless, this contest came at right time, the first price look appealing. - The special blade design generates 20% more airflow covering wider area for the better heat dissipation. - 17℃ cooler than reference design. - World's first GTX 560 Ti graphics card supporting voltage adjustment of GPU/Memory/PLL. - The performance can be boosted 31% up!! 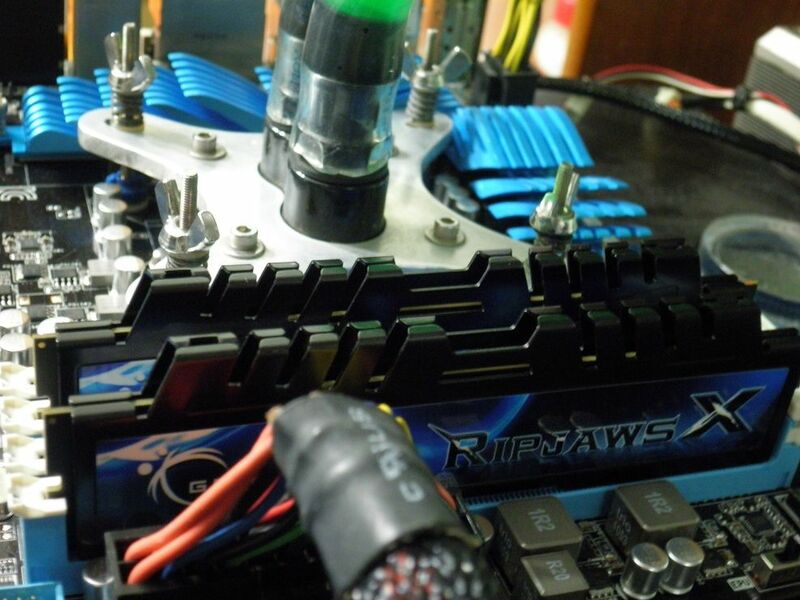 - 8+1 Phase PWM design provides double current output power to GPU for better overclocking power capability. Team Group Inc., always a leader in innovative technology, has just released a representative creation of the century, the TR1151. Team Group Inc.earned the “MUST HAVE – Best Value Award” granted by TweakTown, the biggest tech media website in Australia, on releasing TR1151. TR1151 was selected as a hot item that power users must buy, because of its high compatibility, eye-catching design and super speedy read and write performance. Team Group’s TR1151 USB 3.0 is a 42-in-1 high-speed card reader; supporting the new generation SDXC UHS-1 specification and having a super-mini 80 gram body.To statisfy cool youngsters’ unique fashion and provide them with more choice, Team Group specially rolled out two versions of TR1151 – POP Art and amoeba pattern, allowing power users to show off their stylish taste while enjoying ultra high-speed read and write performance. In addition, TR1151 equips with a built-in easy-to-fold USB 2.0 connector which makes it easy to carry and access to wonderful moment at any place and any time! TweakTown’s editors stated that: “No matter if it is for new generation PC users or experts seeking for latest and funkiest data access tools, Team TR1151 USB3.0 card reader provides the ultimate user experience and enjoyment for everyone.” Through actual testing, the maximum speed of TR1151 could go up to 85MB/s with CF 600x memory card, and up to 60MB/s with SDXC UHS-1 card. TR1151 can complete the transfer of an hour long Full HD movie (approximately 13GB) in less than 4 minutes; it’s the best solution for professional photographers and multimedia enthusiasts. Team Group Inc. is a manufacturer of computer products and consumer electronics, established in Taipei, Taiwan in 1997. We manufacture and distribute high quality Memory modules, Memory cards, USB Flash Drive, SSD, Portable Hard Drive and Peripheral Series. Team Group is recognized as one of the leading memory products and consumer electronic manufacturers in the industry. We cover most business regions in the world. Team provides the highest quality products to customers in volume with competitive prices and the best possible after services. Through many years of the close and direct relationships with the leading manufacturers and OEMs, we are able to provide various products even during the shortage and allocation periods. As we continue to grow, we are committed to supporting our customers with superior products, first class service and excellent business growth. Marketing Dept., Team Group Inc. I'm using a TeamGroup 16GB Class 10 SDHC & am very happy with it!